Stuttgart, 1931. Relief halftone. National Library of Medicine. 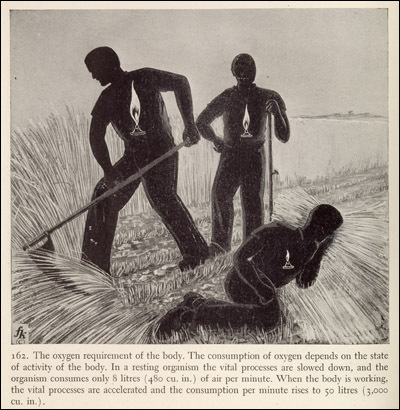 As agricultural laborers do the work of harvesting wheat, their bodies burn energy, a process symbolically represented by an internal flame.